A retired Boulder City Police officer was sentenced to probation and counseling in a felony case in Nevada District Court this week. File Former Boulder City Police officer Jeffrey Grasso was sentenced to probation and counseling after pleading guilty to one felony count of exploitation of an older/vulnerable person for stealing from his handicapped son, Giulian. The sentencing for the case in which he pleaded guilty to intimidating a public officer will be at 8:30 a.m. Sept. 13. On Wednesday, Sept. 5, Judge Ronald Israel suspended 28-72 months of incarceration for Jeffrey Grasso in lieu of probation for no more than five years and two visits a month with a private psychiatrist for an indefinite period of time. 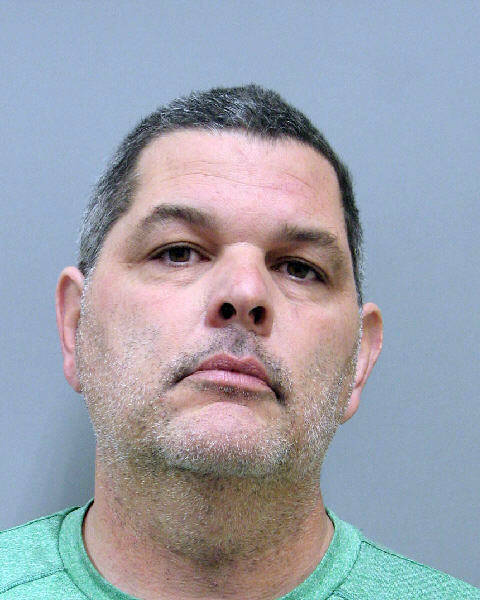 Grasso pleaded guilty July 18 to one felony count of exploitation of an older/vulnerable person after being indicted for allegedly exploiting and stealing from his handicapped son, Giulian. He was originally charged with 14 nonviolent felonies, including two counts of exploitation of a vulnerable person, two counts of theft, four counts of burglary, five counts of forgery and one count of offering false instrument for filing or record. According to Grasso’s attorney, Brian Smith, and Deputy District Attorney Karen Mishler, the guilty plea originally said he would go to mental health court, but he was not accepted. Because of that, they added the mental health treatment requirement. Another part of Grasso’s plea agreement is that he had to pay the full restitution of $29,421.42 to Giulian before Wednesday. Mishler confirmed he had done that. In the sentence, Israel first requested that Grasso have no contact with Giulian as he was the victim, but agreed to the terms of the guilty plea agreement that stated that Grasso would not seek guardianship of his son. Grasso was given credit for 130 days of time served and told to report to the parole office within 24 hours of being released. Grasso’s brother, Gabriel Grasso, is serving as co-counsel. This sentence and guilty plea agreement are part of the negotiations for another Nevada District Court case in which Jeffrey Grasso pleaded guilty to one count of intimidating a public officer, a gross misdemeanor. The sentencing for that case will continue at a hearing at 8:30 a.m. Sept. 13. The charge stemmed from a May arrest where Grasso was accused of making threats or conveying false information concerning an act of terrorism, a felony, in regards to comments he made to his ex-wife Kayla Grasso. He was also charged with resisting a public officer, a misdemeanor. He was arrested after Henderson police went to his home to interview him about the alleged threats. He was in a “highly agitated” state and nearly crashed into his garage door, yelled at officers and ignored their orders before he was shocked with a stun gun.